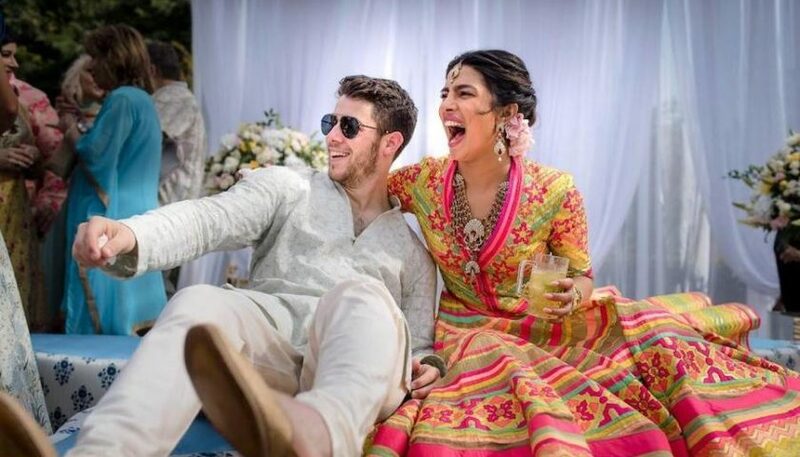 This Sunday, Nick Jonas and Priyanka Chopra starred in a traditional Hindu wedding at the Taj Umaid Bhawan Palace in Jodhpur, India, the actress’ native country, according to E! News . The ceremony was held a day after they exchanged vows in that same place and officially became husband and wife in a Christian western marriage ceremony. The couple’s Hindu wedding took place on the grounds of the palace, with the Mehrangarh Fort in the background. The event had a 40-foot tent, adorned with red flowers, according to the Hindustan Times . Priyanka wore an impressive Sabyasachi dress, according to the Times News Network of India. Among the members of the Jonas family who attended were Nick’s parents, Denise Jonas and Kevin Jonas Sr. , a pastor who officiated the couple’s Christian wedding, as well as his brothers, Kevin Jonas , accompanied by his wife Danielle Jonas , Joe Jonas and his fiancee Sophie Turner , as well as Frankie Jonas. A source told E! News that the bride “took her breath away with her traditional Indian red wedding dress”. The Hindu ceremonies comprise several rituals. According to tradition, Nick arrived on a ghodi, or horse. He and Priyanka then climbed an elephant before becoming part of the varmala, or garland exchange ceremony, according to the Times News Network. Then in the evening, the bride and groom and their guests had an elaborate dinner, and an after-party was planned around midnight, according to the portal. Hours before the Hindu ceremony, the bride was part of a haldi ritual, where a haldi paste is applied to ward off the evil eye and bring good fortune; a chooda ceremony, where they give him 21 bracelets from the members of his family and a safa ceremony. The color palette was pink, orange and purple, and the decoration included marigolds, according to Times News Network. 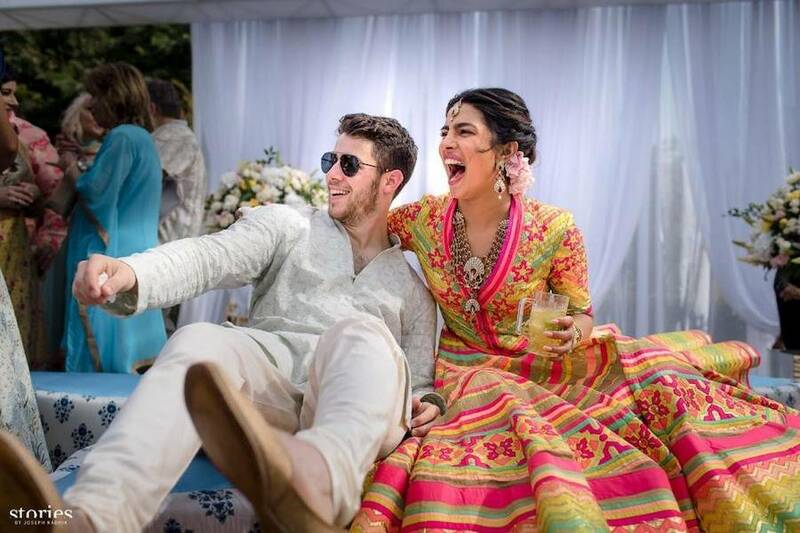 Nick, 26, and Priyanka, 36, made their public relationship a few months ago, after more than a year of rumors, and announced their commitment in July. 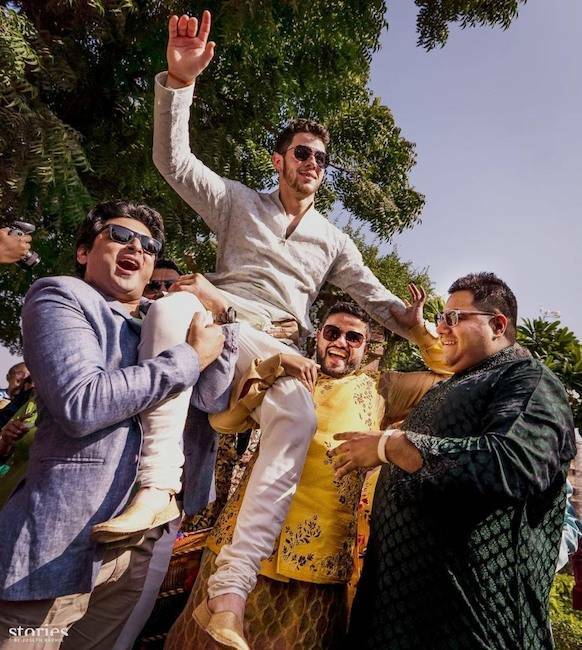 Jonas had already gone to India earlier, as had his parents, who joined the couple for the engagement festivities in August. 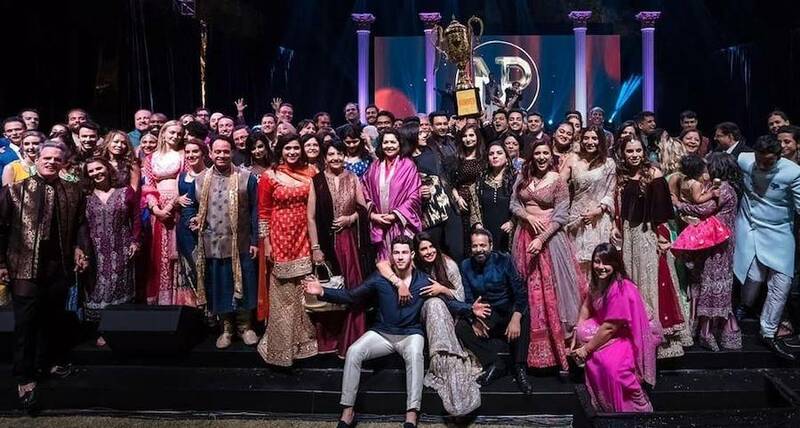 Earlier this week, their families gathered in India for traditional pre-wedding festivities, including a bidding ceremony, a Mehendi ceremony and a Sangreet dance contest. 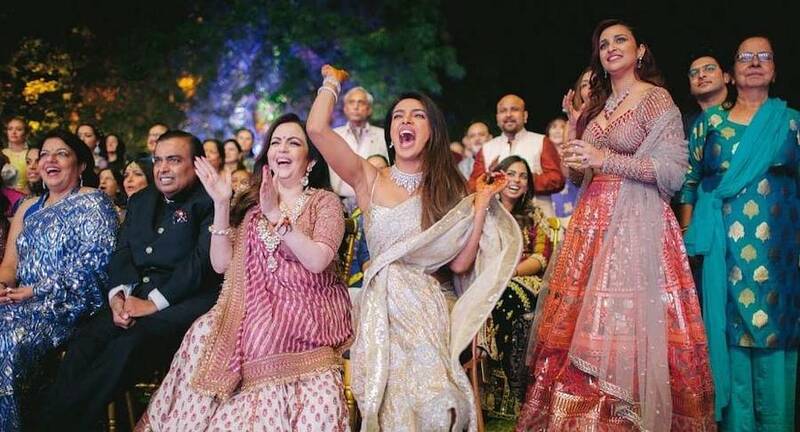 “People will need a vacation after this wedding,” joked Priyanka with Vogue . 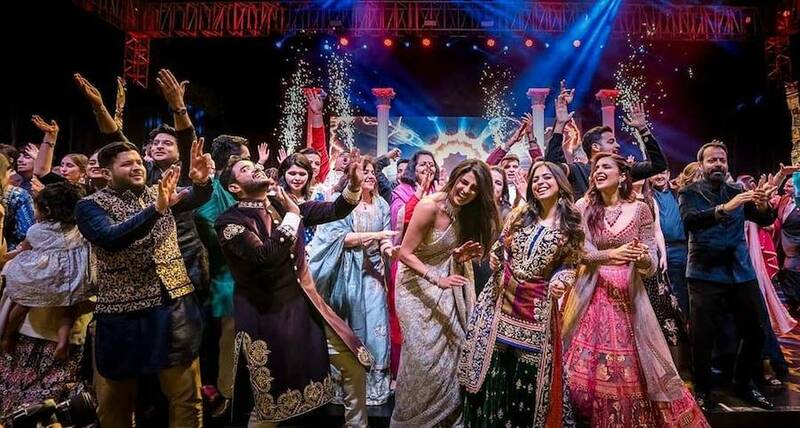 The couple celebrated their Sangeet with western and Bollywood dances with their loved ones. 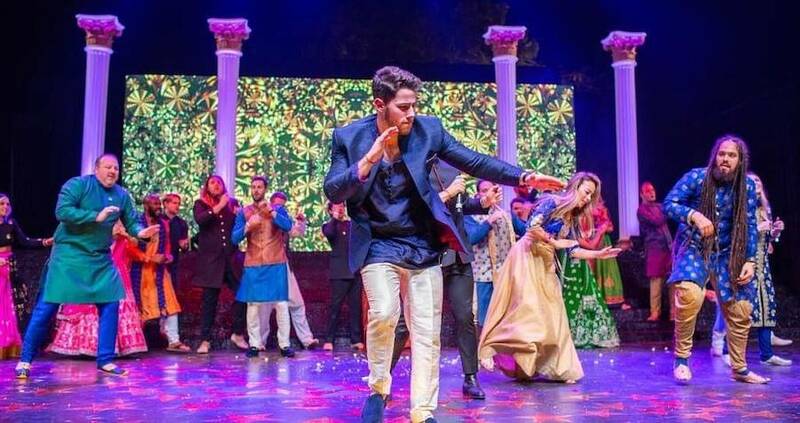 Nick showed his skills for Bollywood dances. 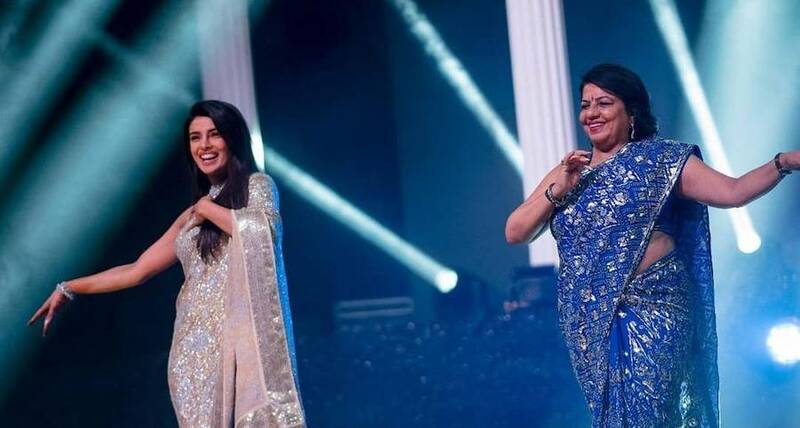 Priyanka dances with her mother Madhu Chopra , at the Sangeet party. 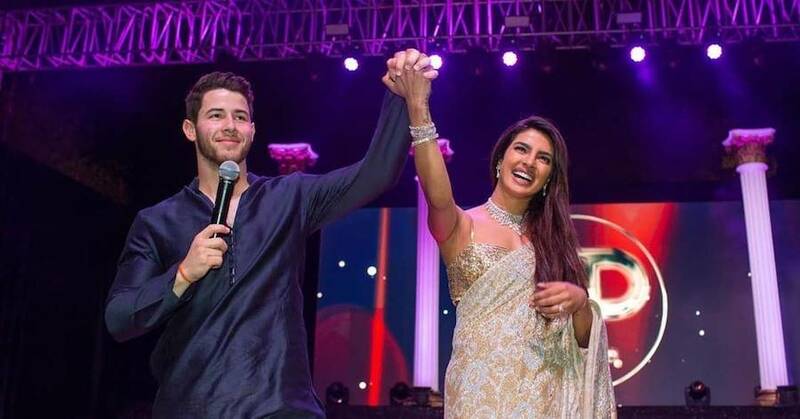 Nick and Priyanka appeared on the stage of their Sangeet party. 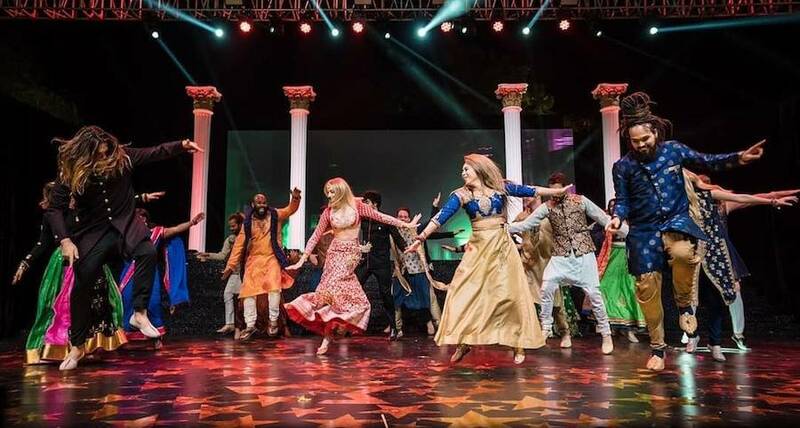 Sophie Turner dances on the stage of the Sangeet party. The Sangeet party was full of emotion. 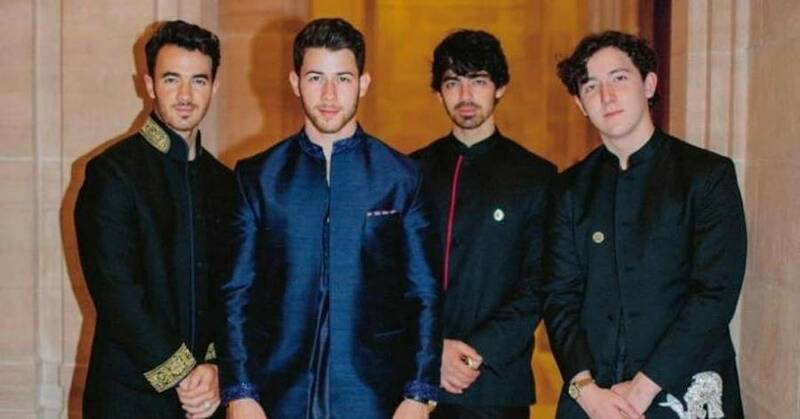 Kevin Jonas, Joe Jonas and Frankie Jonas joined their brother. The guests were pure smiles in the pre-wedding celebration. 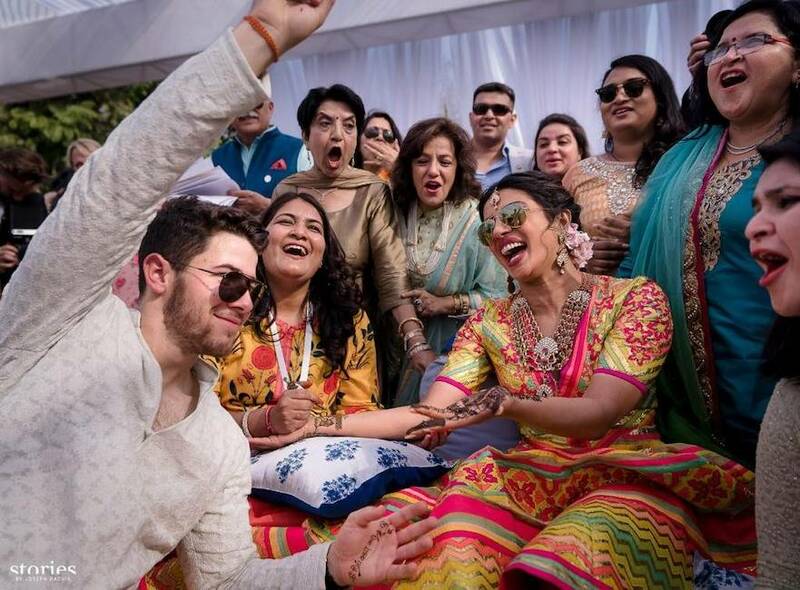 Priyanka and Nick celebrated with their guests. 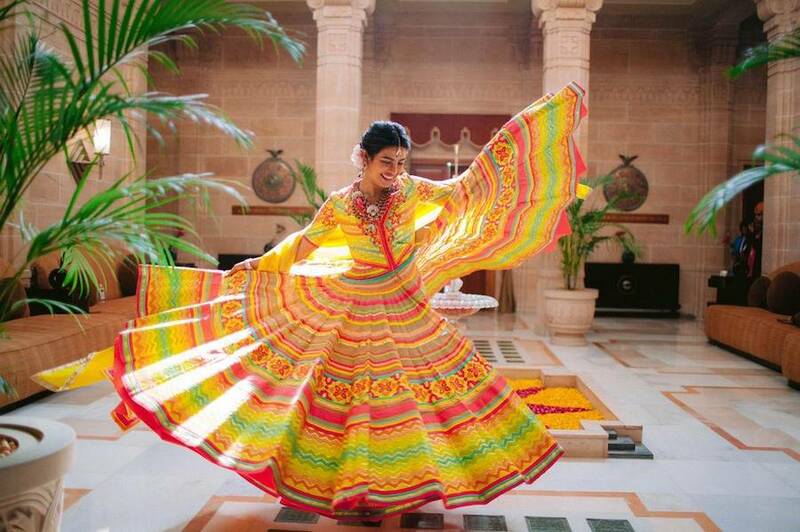 The actress dances in her colorful dress of Abu Jani Sandeep Khosla Couture. 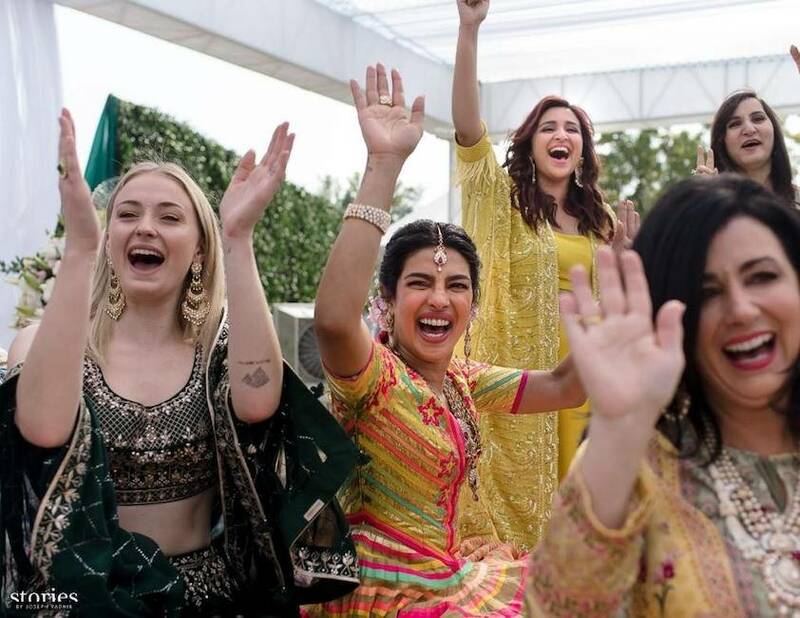 The bride enjoys with her guests, including Sophie Turner , who is engaged to Nick’s brother, Joe Jonas. The guests raise the groom in celebration. The guests surround the groom and the bride.